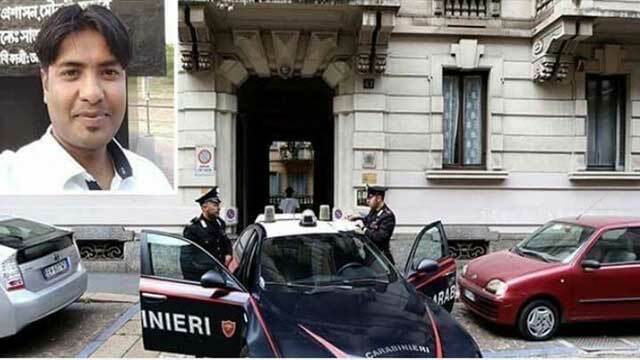 Dhaka, Apr 28 (Just News): Some unidentified muggers hacked a Bangladeshi expatriate to death and injured two others in Italy's Milan on Friday. The deceased was identified as Shamsul Haque Swapan, 33, son of Abdus Salam of Bramhankhali village in Dhaka's Nawabganj. Victim's family members said some robbers swooped on Swapan and his two friends on Friday evening with sharp weapons while they were returning from their workplace, leaving them injured. The injured were rushed to a local hospital where Swapan died later in the day. The muggers also snatched their monthly salary which the trio had just received.